What I like the most about this mascara is that it is completely different to They're Real, and probably in a month I will write a comparison between the two mascaras. 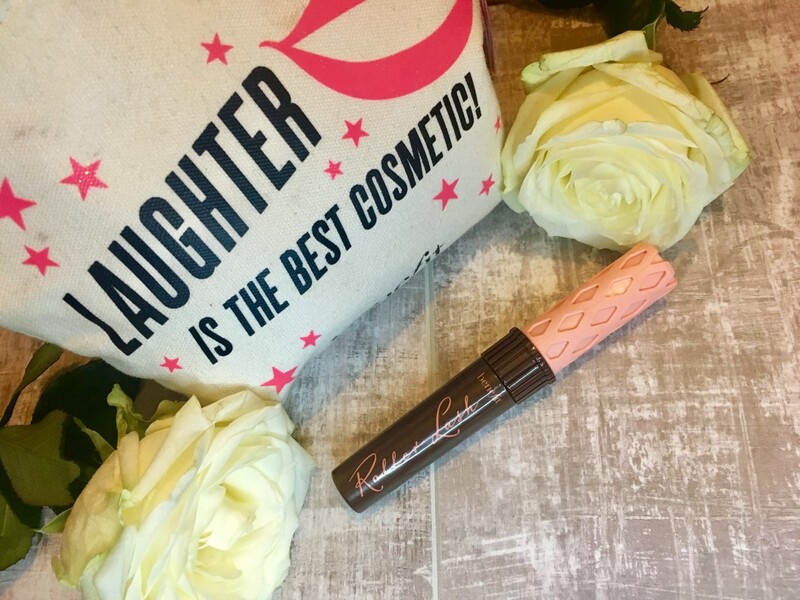 Where They're Real has a larger wand which is also straight, Roller Lash is smaller, thinner and curved. 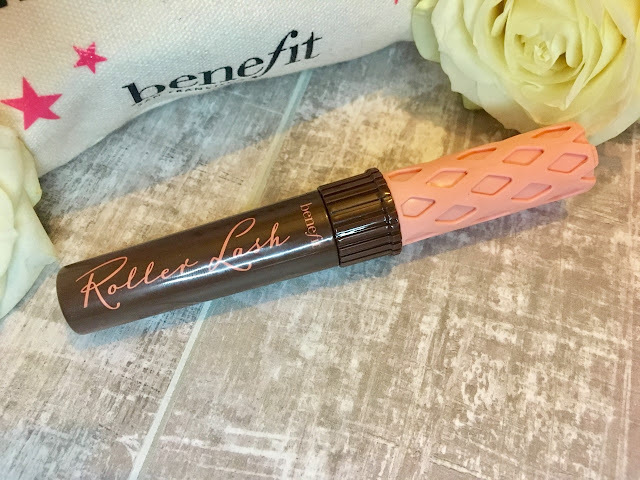 Benefit has named the wand as the 'Hook 'n' Roll' brush. 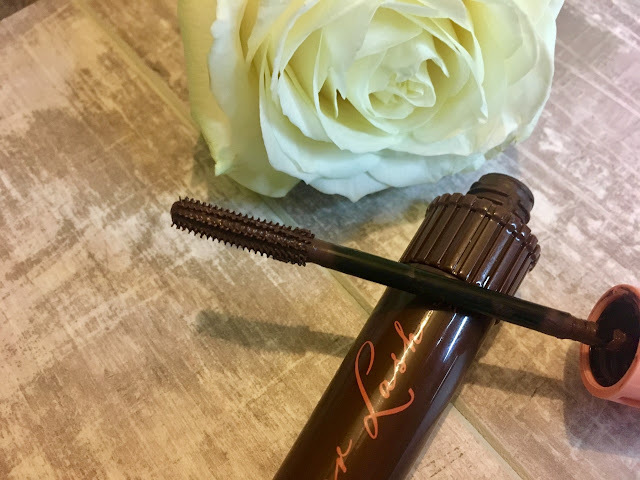 This helps to catch every single lash (even the smaller lashes that are close to your lash line), separate each lash, lift them and curl them all in a matter of seconds. 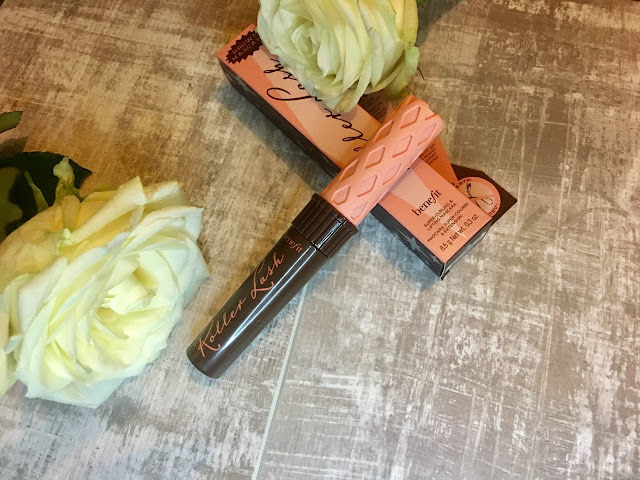 It does exactly what it says on the packaging, and I have noticed that this mascara curls my lashes a lot better than They're Real because of the wand. I have naturally long lashes anyway, so sometimes They're Real can be a bit too much. 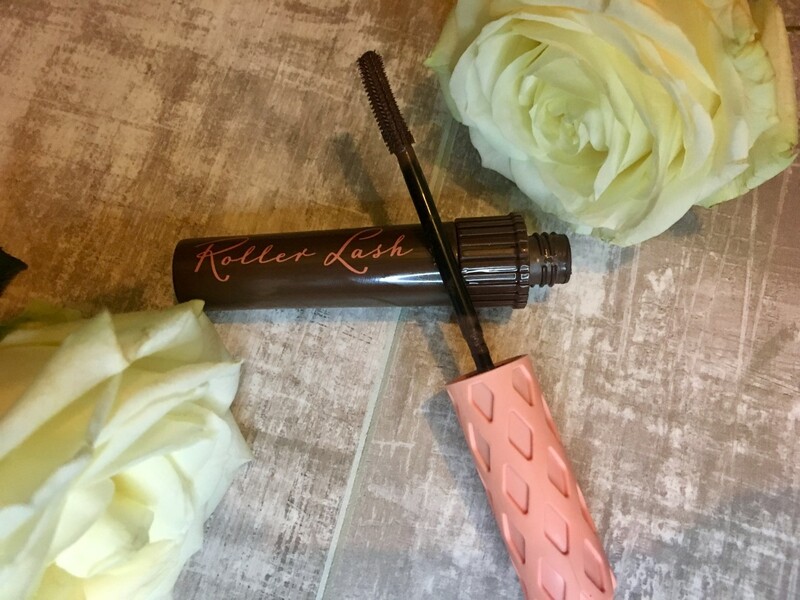 However, Roller Lash is perfect for creating a subtle and natural look, while still lengthening and curling your lashes. I even told my Mum to buy this mascara because she always wears brown mascara and she has fairly short lashes, and even she said it was the best mascara she has ever used. You can really notice how it lengthens her lashes and helps to curl them without the need of a curling wand. This is water-resistant which is perfect for mascaras, obviously it is not waterproof completely, but if you were caught in the rain then it won't smudge or run down your face. I also noticed that because it is a thinner and smaller wand, you can grab every lash but you won't get any of the product on your eyelids, so you won't ruin your eyeshadow at all. If you find that They're Real is difficult to remove (which I know it is) then Roller Lash is the one for you. This is so easy to remove and I know that with make-up remover I can easily take off my mascara and not wake up with chunks of mascara all over my face. I absolutely love this mascara and it has been in my everyday makeup bag since I purchased it a month ago. This is so easy to apply and you just wiggle the wand from your lash line all the way to the end of your lashes to get beautifully coated and separated lashes. This is also perfect if you struggle with applying mascara to your lower lashes. I have the same problem where I will do my eyeshadow and it will look good and then I see there is mascara on my skin. Since using this mascara I have noticed that this does not happen because of the size of the wand. 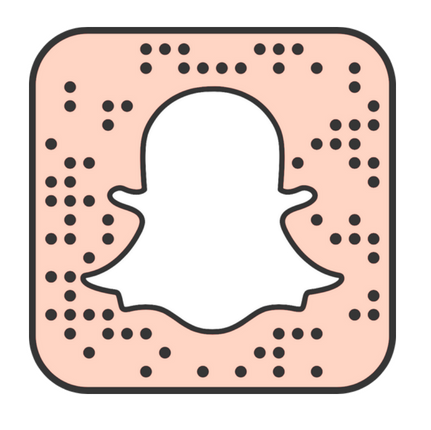 Therefore, you are able to get close to the lash line but the product won't go on your skin. This mascara will separate your lashes rather than clumping them together which is what a mascara should do. Overall, I love both Roller Lash and They're Real from Benefit. However, at the moment I have been wearing more natural makeup so have been tending to grab Roller Lash more. However, I plan to buy this mascara in black and then I will do a comparison of both of them and really put them to the test soon!